This Fried Chicken Donut Sandwich is a heart attack waiting to happen… but what a way to go! This beauty is a work of art that isn’t available just anywhere, to get your hands on a Fried Chicken Donut Sandwich, you need to travel to PG Clucks in Toronto, Canada. This ‘fried chicken shack’ serves straight ‘deboned leg meat’ that’s been brined for 24 hours in lemon and herbs. Their menu is small but each option has been perfected and promises to be finger-licking deliciousness. Every once in a while, PG Clucks will pull out a particular favorite on certain days and during a very limited time window. In fact, if you’re not following them on social media, you may never know when it’s available. But if you’re lucky enough to catch a window of opportunity, the miraculous Fried Chicken Donut Sandwich off of the secret menu can be yours. Will they make it for you if you just walk up an ask? Maybe. Is it guaranteed? Never! But if you ask nicely, it’s possible this honey deep-fried wonder on a crueler can be yours. 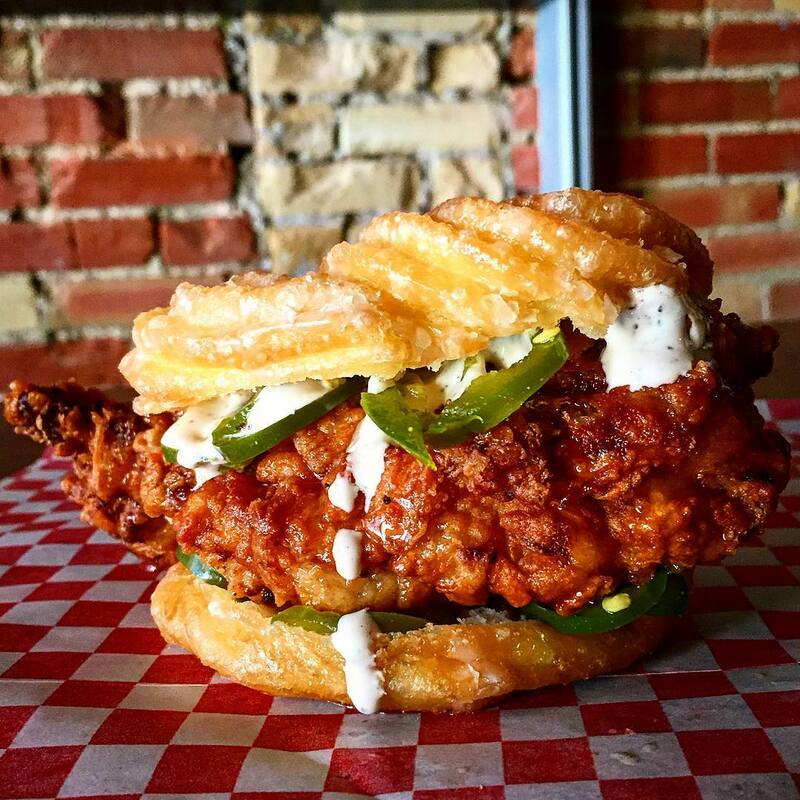 Michele Henry uncovers the jalapeno and honey chicken sandwich on a homemade cruller, from P.G Clucks on College Street, is a secret menu item that won’t disappoint. It’s sweet, sloppy and delicious.